The idea of escaping urban life and going to live in the jungle is not an uncommon dream, but one that rarely gets taken up (think bugs, lack of water etc). 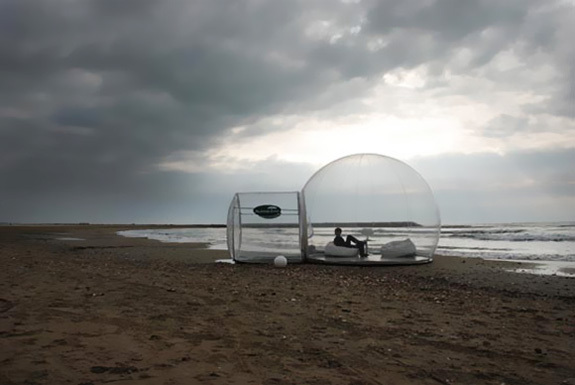 Bubble Tree are offering the idea of uncluttered space for those of a more dreamy nature, and their vision of utopia comes with all modern conveniences. 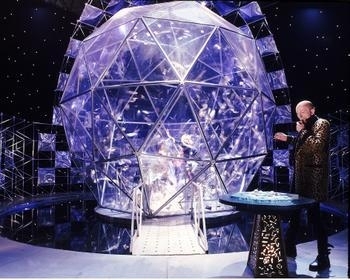 There are two types of ‘bubbles’ you can choose from, the Bubble Room which has a few sheltered areas and the Cristal Bubble which Crystal Maze style allows passers by a 360 degree view of your activities. 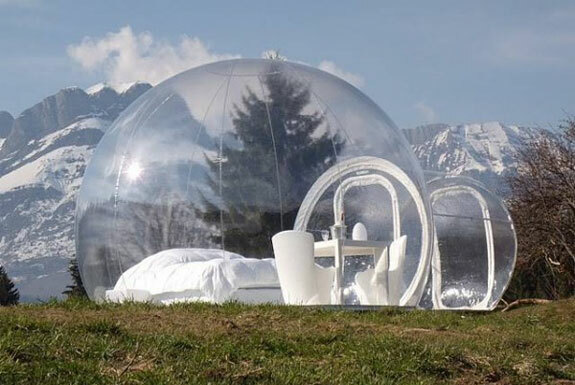 You get to enjoy an approximately 13 foot living area which encapsulates a sleeping and sitting area and looks something like a plastic igloo. Inflated by an electric turbine, you’ll be protected from the majority of the elements, though a tornado might shake up your home a little. 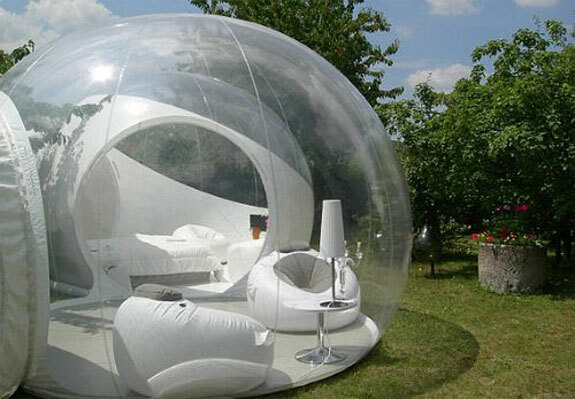 The bubble is coated with a special UV filter that is designed to regulate the temperature and keep you free from bugs and y’know, actual nature. You do get to see what’s going on, but you’ll be protected from the harshness of everyday environment through the lovely bubble screen. Pricewise, it’s going to hurt (it comes in at about 7796 Euros for the basic model, all the way up to 12,900 ) though you can rent one at various campsites over Europe. I imagine it would be a mecca for naturists and those who really want to experience the outdoors, with out y’know, touching it.